For tonight’s horror short, we’re cracking open our vaults to blow the dust off this 1982 Tim Burton short film. Now, I’ve already made my feelings on Tim Burton known, but this short, made while Burton was still a young animator working at Disney, is darkly charming and well worth a watch. A clear predecessor to the visuals and concepts behind Burton’s 1984 short Frankenweenie, Vincent tells the tale of a young boy named Vincent Malloy, who dearly wishes he were Vincent Price instead. The animation and imagery are appealing in a suitably gothic way, and the rhyming narration written by Tim Burton is read by none other than the great Vincent Price himself. Enjoy, and happy Friday, darlings! I would love to hear the story behind how they got him to narrate this short. Agreed. For every one that was interesting or innovative, we get five Johnny Depp-bewigged snore fests. 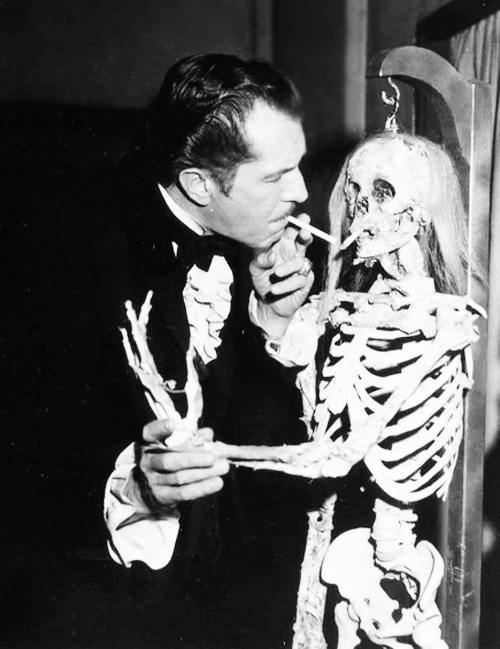 Vincent Price was the master…nice short. I love that he’s narrating this…so perfect! Vincent Price was a god. I have a collection of great old photos of him. I’ll have to make a note to put that up soon for everyone!